â€œJust remember â€“ life is hard. But itâ€™s one hell of a lot harder if youâ€™re stupid. "I hope I shall possess firmness and virtue enough to maintain what I consider the most enviable of all titles, the character of an honest man." ... Thus far, I am rooting for the zombies. 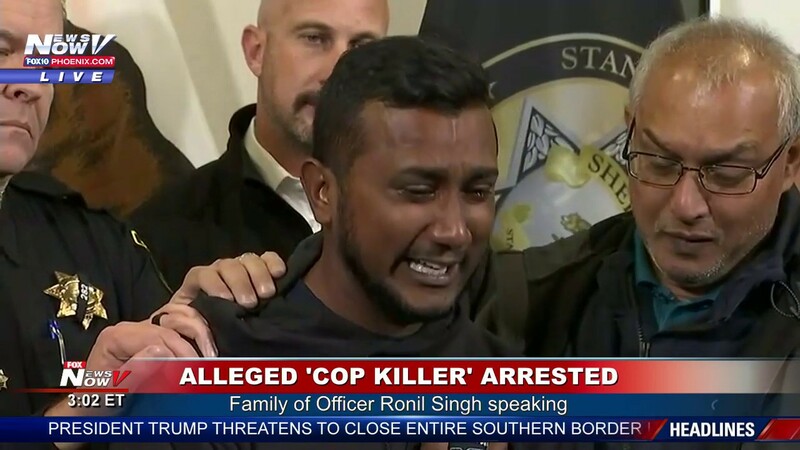 I feel that Cpl Singh’s reflection page should be separated from this individual’s immigration status. That should be its own page, but Cpl Singh deserves a non partisan memorial page. Odd you mention that....I never knew facts regarding Ofc. Signh's death were 'partisan'? The first partisan post I've seen here is by you. I would appreciate you taking your own advice. If you want to be nit picky, he was a Police Officer, Police Corporal actually, not a Deputy as the title says. So let’s save this page for respect, not more fighting. They caught the suspect outside Bakersfield. Great work by Stanislaus and Kern S.O.s, and the others who caught him. Thankful that no more officers were hurt. The Sheriff talks about the arrests. Some family members of officer Singh are present. There are currently 5864 users online. 227 members and 5637 guests.